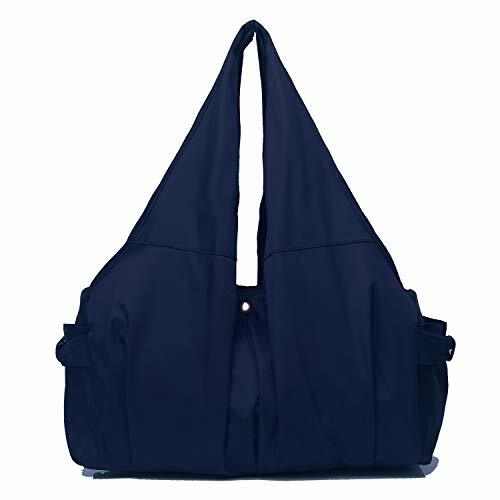 Large spacious handbag that can store all your essentials, separated in to multiple compartments.Made of quality Nylon, which is elegant and luxury, general use for women.Perfer for everyday use ,shopper,work.100% Brand New and High Quality.Inner Divider, Inner Pocket, Mobile Pocket. Basic Information Material:High quality Nylon. 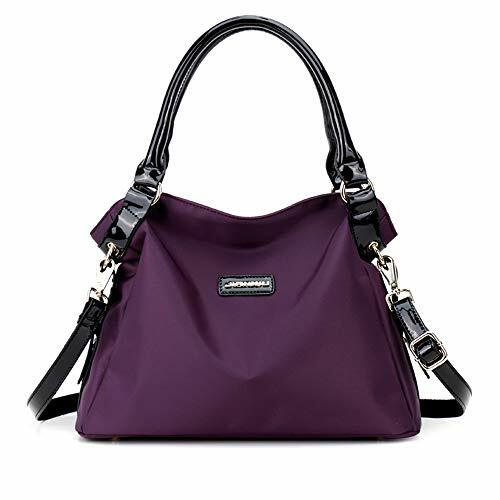 Dimensions(LxWxH):14.5" x 5.5" x 13.4" Function:Crossbody Bag & Handbag & Shoulder bag. 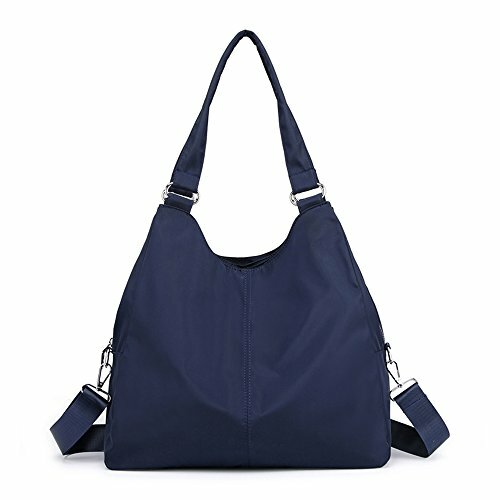 Feasures This tote bag is made of nylon, washable and durable when you using.and rustproof metal hardware zipper,easy to open and close. 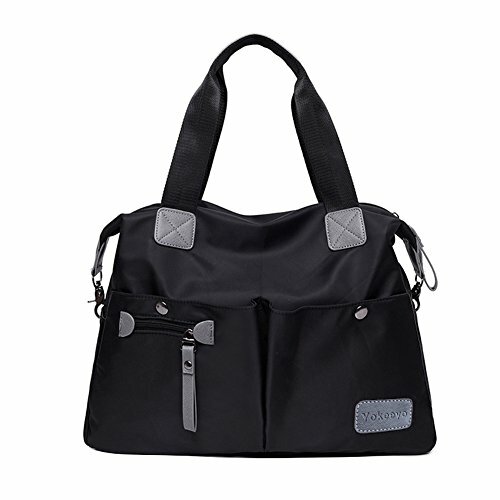 Multiple pockets can holding lots of your daily necessities such as mobile phone, wallet, ipad, umbrella and so on. 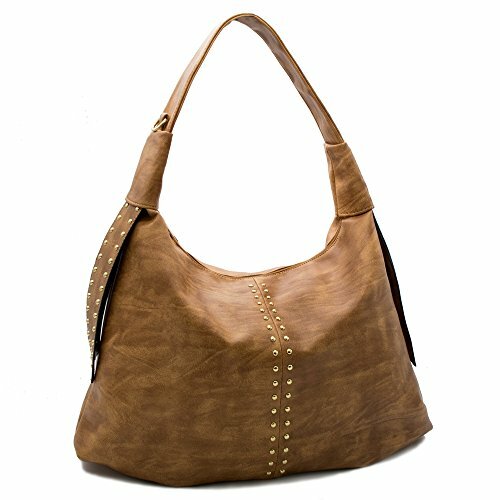 Bag have a short handle straps and a long removable shoulder straps.easy to change to be different occasions with different wear methods. Simple and Fashion design make you Elegant intellectual and prominent in your traveling, shopping and party. 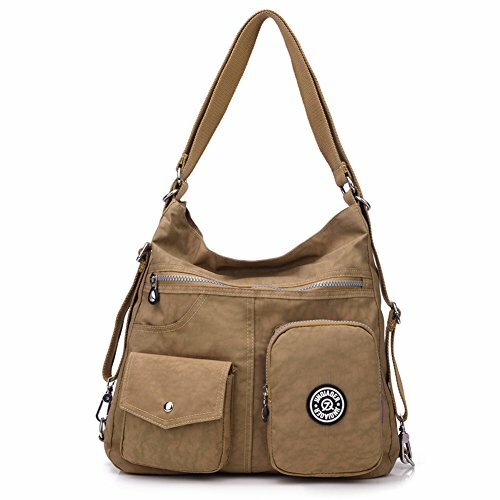 Super using space with zipper closure.Innter zipper pocket and Big compartments will place your daily supplies orderly.A great choice as a gift for your friend,family and dearling. Note: - About measurement data: It maybe slight different due to hand measure - About color:There might be a little color difference due to the monitor, camera or other factors, please refer to the physical item. -natural odor at first is normal,but the smell will disappear after a couple day airing. Service Guarantee: If you have any problem/question with this bag, please don't hesitate to contact us and we will respond timely and do our best to serve you! You need a do-it-all crossbody in your life and here it is. 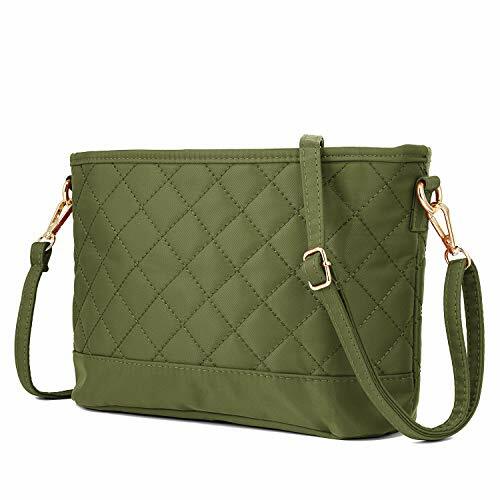 It's made with crinkle nylon to keep it lightweight and long-lasting and adorned with a couple of zip pouch pockets on the outside for extra convenience. 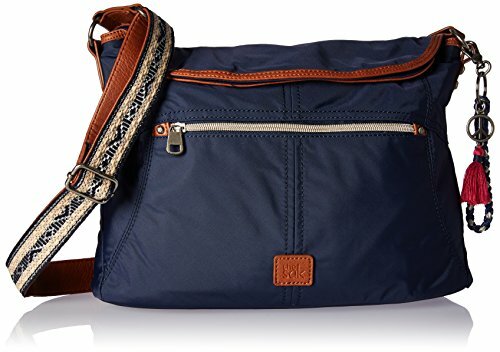 This bag is a primo pick for weekends spent exploring and everyday errands. Product overview * Durable&Lighweight: shell 100% crinkled nylon / lining 100% polyester * Roomy Compartment: 1 main zippered compartment roomy enough for all of your daily essentials * Inside Pocket: 1 back wall zip pocket, 2 slip pockets(cell phone and MP3-player) * Outside Pockets: 4 front pockets for handy essentials, 1 back zip pocket for valuables * Comfortable Strap: Adjustable shoulder strap allows you to wear the bag over your shoulder or as a crossbody * Best use: casual; travel; everyday Care Instructions: -Hand-wash only. Do not machine-wash. -Do not use bleach. -Do not soak in water. -Do not dry in direct sunlight. Note :Actual color may vary from picture due to computer settings. Please allow 0.1-1.1 inch in size deviation. 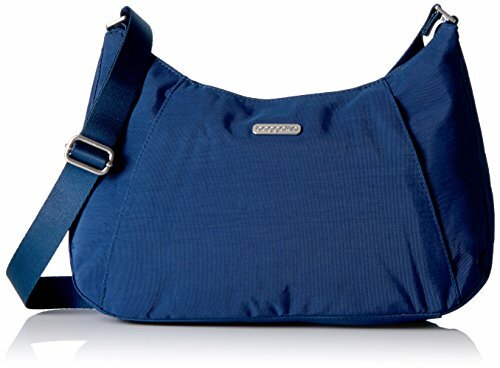 Shopping Results for "Nylon Hobo Handbag"